This week I go on my holiday and I can't wait! A lot needs to be done within the next few days but one thing I have got sorted is my 'travelling outfit'. I don't know about you, but I love planning outfits out and one of the ones I love planning is my journey home. I like to show off that I have been away, and that the sun was wonderful. I'm weird ok. The outfit I will be wearing is my new jumpsuit from Asda (found in store), after searching everywhere for one I finally managed to find one and for a bargain of £8 down from £16! It was love at first sight, not too revealing, a nice and bold pattern as well as a string to tie near the base which helps keep my waist in check. 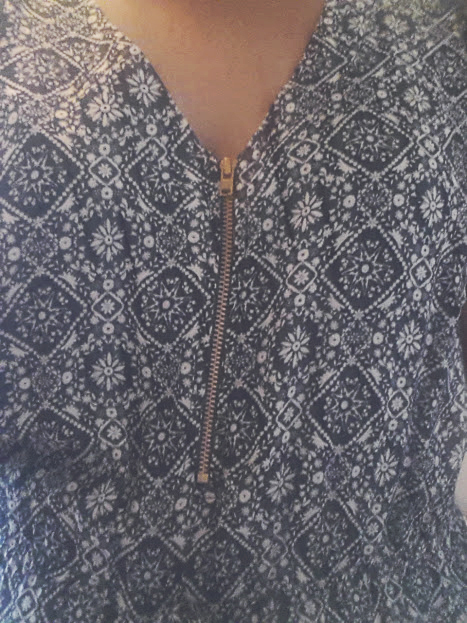 The zip on the front just finishes off for me, and it a low v-neck which was the thing that drew me towards it, as others are more scooped neck. My shoes are still a problem, probably decide when I get there. 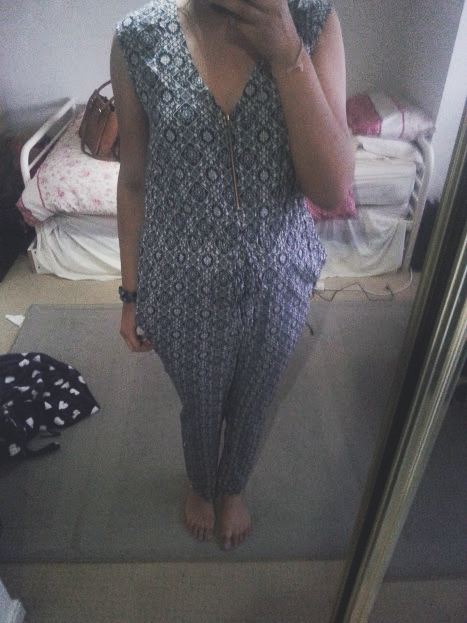 With a patterned jumpsuit, I want to keep everything else pretty simple seen as though I will have to tag along my luggage. 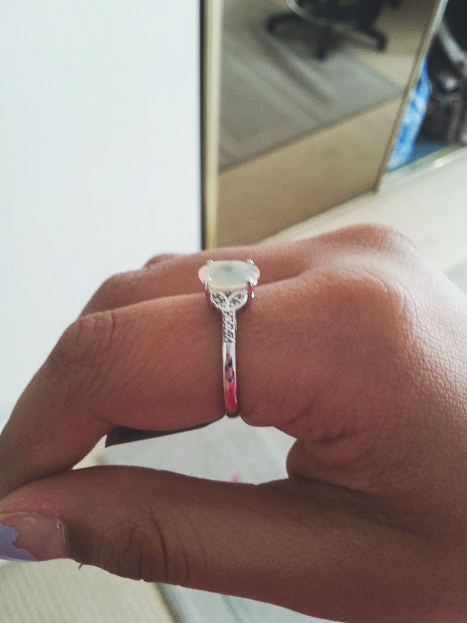 So in the simple theme, I will be wearing my Ethiopian opal and white topaz ring* from Gemporia at £24. 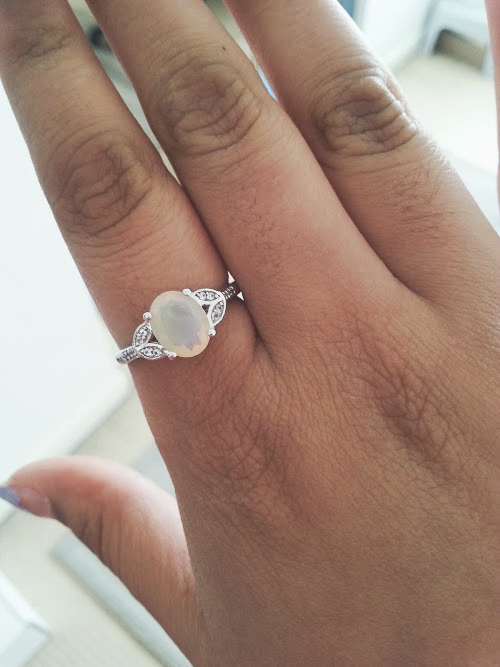 I have only recently become a fan of dainty rings, and this one I can't stop wearing. The finish of it is beautiful, and Opal is something I would never think of buying but something about the size, and finish is just stunning. The white topaz detailing on the sides adds something different and brings together the ring as a whole. You can find a whole range of rings from Gemporia, each one is crafted for you and at reasonable prices so you can afford to treat yourself. Also, if you don't know your ring size like me then use their app/print out to find out - genius! I love how simple yet chic this outfit is, and feel so summery just thinking about it! What is your go to travelling outfit?